Product prices and availability are accurate as of 2019-04-23 19:30:24 UTC and are subject to change. Any price and availability information displayed on http://www.amazon.com/ at the time of purchase will apply to the purchase of this product. Buy more than one set & Get EXTRA Discounts Starting from 5% up to 15%!!. 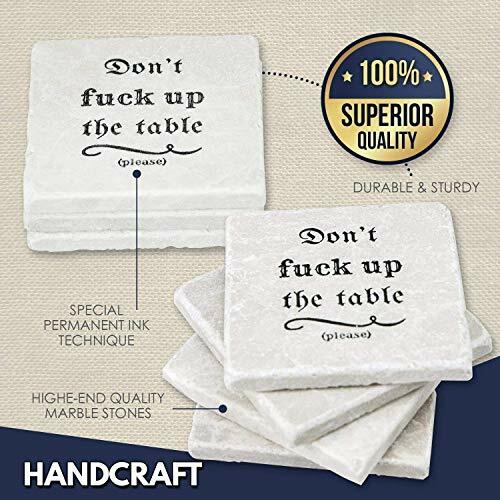 It's one the most annoying things; when you have cleaned/set the table & then one of your guests neglects to use their drink coasters. Well, not anymore! 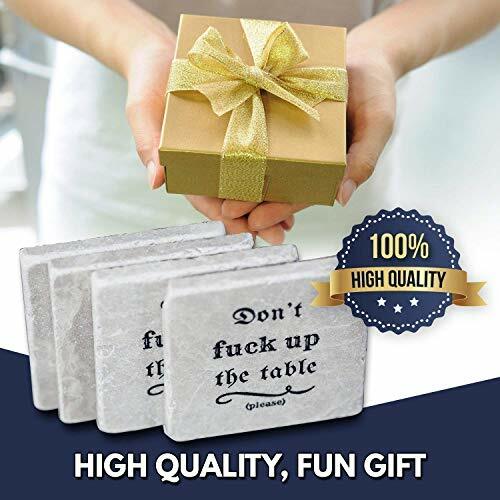 Our exquisite, handcrafted marble set of coasters, that has an imperative yet Funny quote on top, this is the only placemat that you will need. It Reminds everyone they have forgotten; to use a table coaster by YogaCoaster! Serve your guests with our handcrafted cool coasters for drink. It is Highly Absorbent that can take any kind of beverage whether its hot or cold, beer, wine, whiskey, or coffee. Also, Don't Worry neither the message nor the marble will be damaged from this. 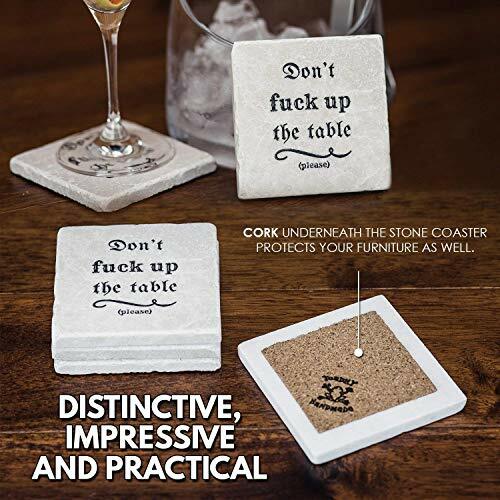 Your Table is also safe as the cork underneath the stone coaster protects your furniture as well. 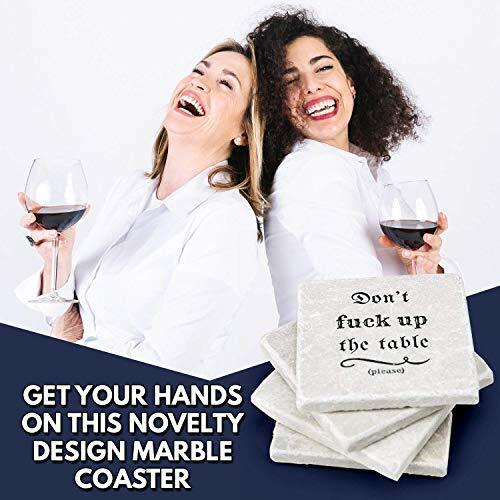 Whether It's for your best friend who's moving into their new house or for a cool man cave decor or even A gift for your significant other who's a bit strict when it comes to beverages leaving a ring on their table/furniture. This set of bar coasters is perfect, it's not only thoughtful & handy but also elegant! Are you Looking for a funny 30th, 40th, 50th birthday gift for men, women, or even a new homeowner? Well, You have found it!! We made sure to use nothing but the highest end quality marble stones & a special ink technique. 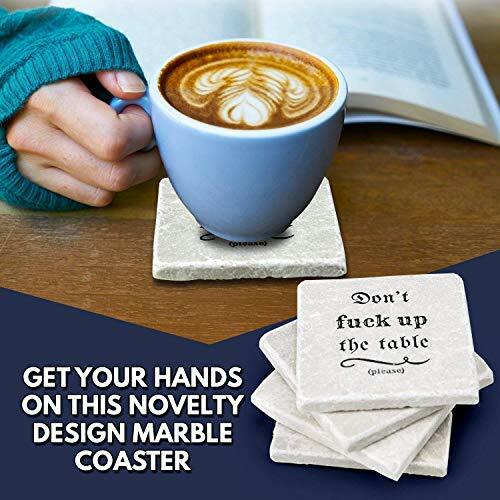 We can offer you a durable, sturdy (although not dishwasher safe) designed coaster set that will last you a lifetime! If you are not satisfied for any reason, we will provide a free replacement or full refund. 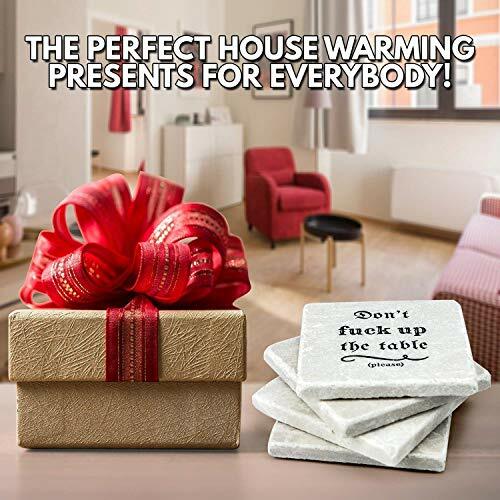 So Get Your Funny But Protective High-Quality Coasters - Before Our Stock Runs Out!